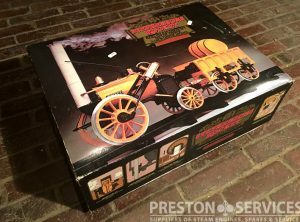 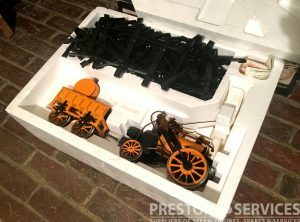 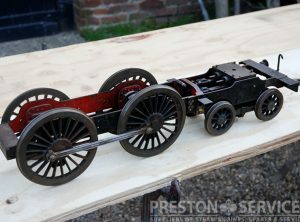 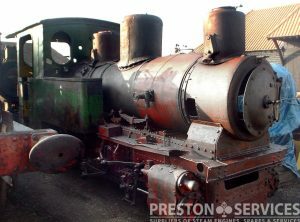 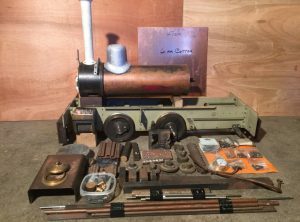 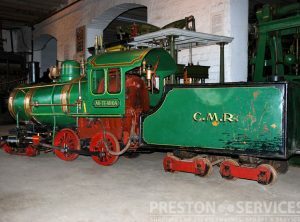 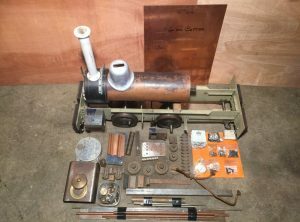 A chassis and running gear of some vintage, for a tender locomotive. 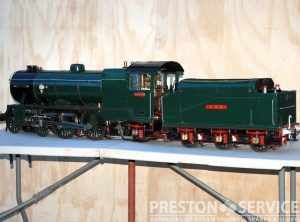 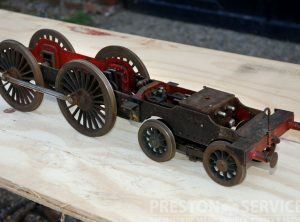 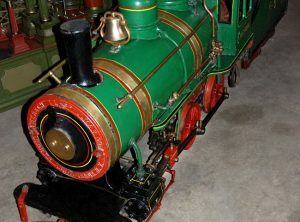 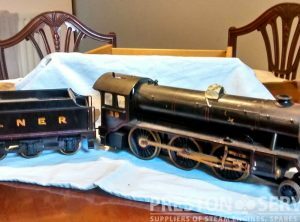 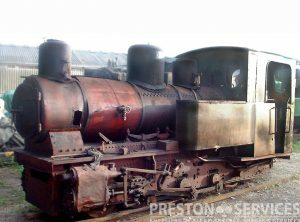 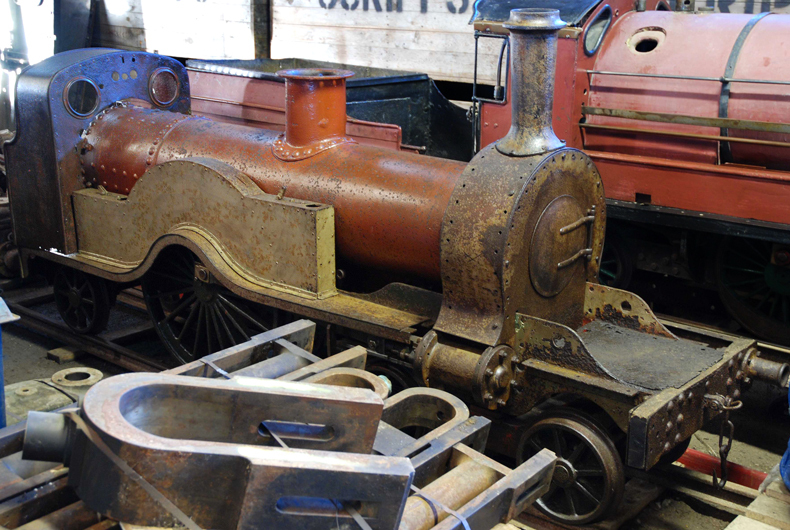 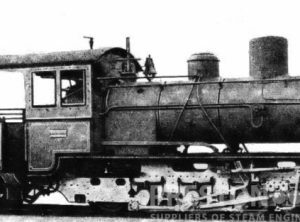 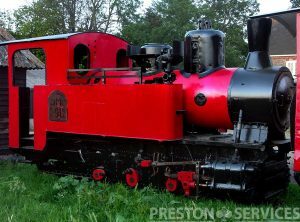 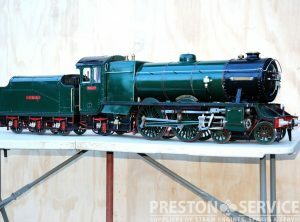 This miniature has inside cylinders and is thought to be either an LBSC ‘Drummond T9’ or scaled down ‘Maid of Kent’ ? 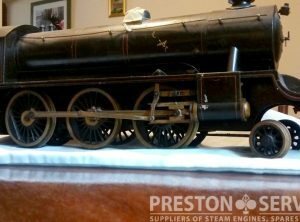 Appears to be very well made and a good starting point for a project.